Even the most passive digital enthusiast can’t help but be amazed by the system built around this sensational coin! This remarkable Crypto Currency can be used for both offline and online payments, performing in similar fashion to a prepaid credit card. The only notable difference being, the card doesn’t hold any actual Fiat currency value, but instead the soon to be coveted ViceCoin value. When transactions are made, the payments made with these digital beauties will go through a ViceCoin payment network which will then automatically switch the ViceCoin for the fiat value it holds through the ViceCoin itself. Simple as it is genius! Now these so-called “vices” that users will be using ViceCoins for might be viewed by some to be a bit morally misguided, but the fact is this - we spend an enormous amount of our money on our hedonistic needs and that number will only get bigger as more and more people move up the economic status chain. 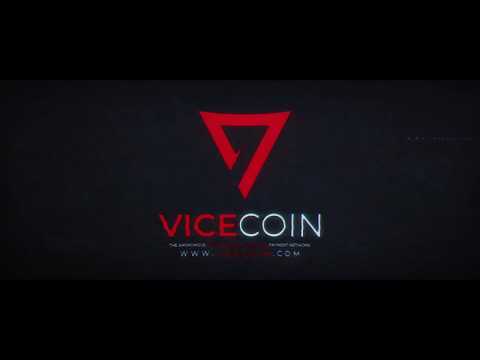 ViceCoin is the upscale cryptocurrency we will be offering and we will also be installing an exclusive network to manage and monitor all the transactions which use cryptocurrency valuations. ViceCoin is based off the popular Etherium Blockchain, which employs a proof-of-stake model where the creation of the next block is delegated randomly to the oldest and richest miners. Validation is a relatively easy procedure and no miners are required to solve computationally hard problems, Ethereum's electricity consumption will drop by orders of magnitude. The proof-of stake model will be widely accepted globally, especially in power sensitive countries. Launch online privacy payment Platform.